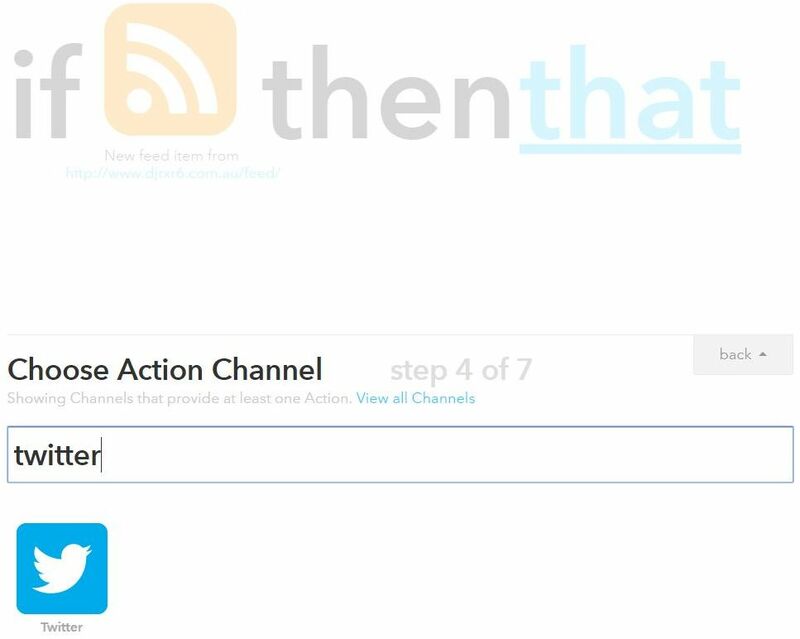 In my first post about WordPress and IFTTT integration, I explained how I would be using IFTTT, to automatically tweet to my Twitter account when I added a new post to my WordPress blog. The experiment didn’t go as planned, so I’ve had to try an alternative method. RSS Feed to Twitter. 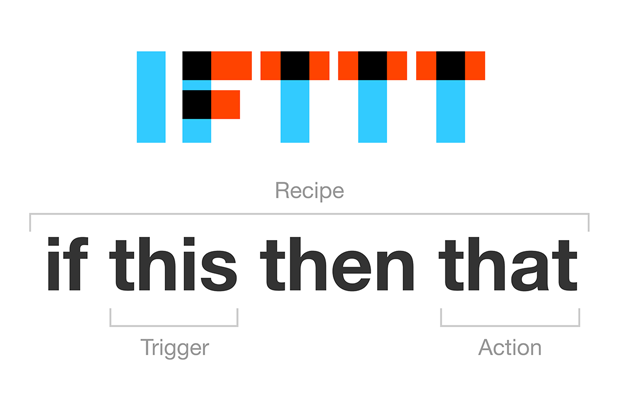 For some reason, my original plan to use IFTTT’s WordPress and Twitter channels to tweet about new posts on my blog did not work. I’m not completely sure why this was. I’m pretty sure it was something to do with the WordPress channel’s connection to my blog. If I had to guess, it’s something to do with the XML RPC. I fiddled with various settings on my blog, but nothing seemed to make it work. In the end. I found another way. I created a recipe to tweet new posts, using my WordPress blog’s RSS feed. 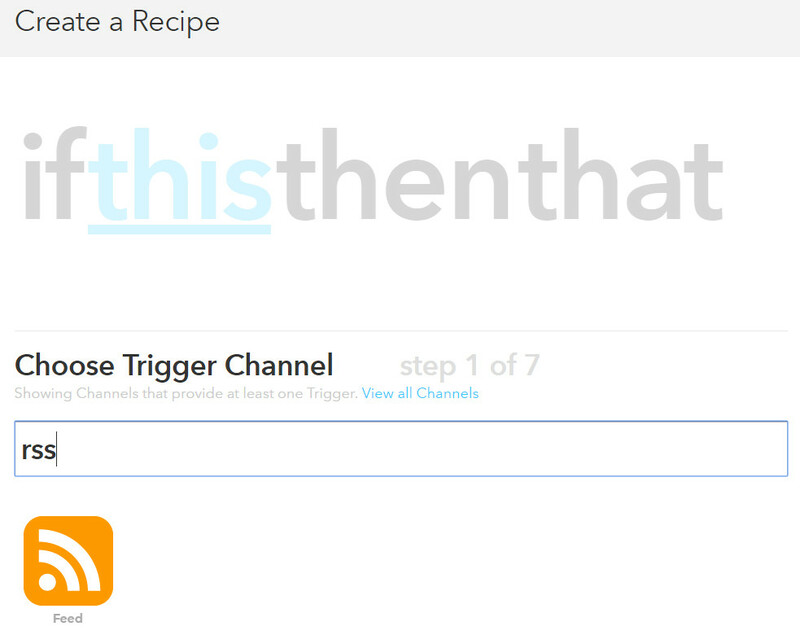 First, create a new recipe in IFTTT using the Feed channel as the trigger. Choose the ‘New feed item’ trigger. Enter your RSS feed URL into the ‘Feed URL’ field. 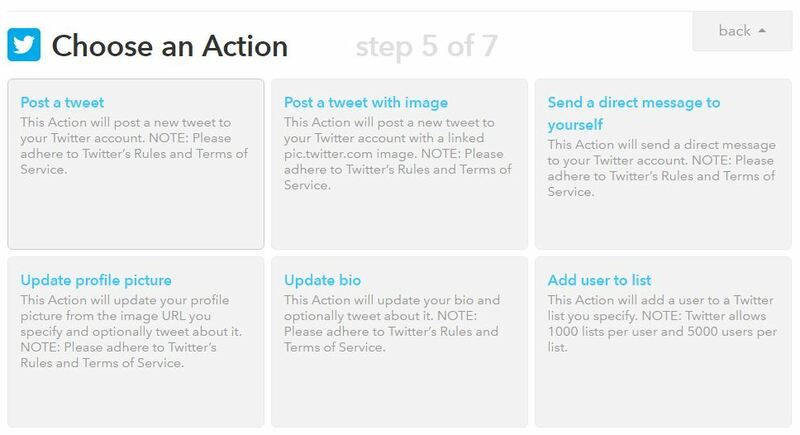 Choose Twitter as the Action Channel. Now choose an action. For a simple tweet, consisting of text only, you could choose the ‘Post a tweet’ action. However, I like to draw attention to tweets with an image. By using the ‘Post tweet with image’ action, your tweet will also contain an image. By default, the ‘Tweet text’ field will contain the ‘Entry Title’ ingredient only. This seems a little pointless, since we want to direct traffic back to our blog post. I recommend adding the URL of your post, by adding the ‘EntryUrl’ ingredient. The ‘EntryImageUrl’ should be the first image which appears in your post. 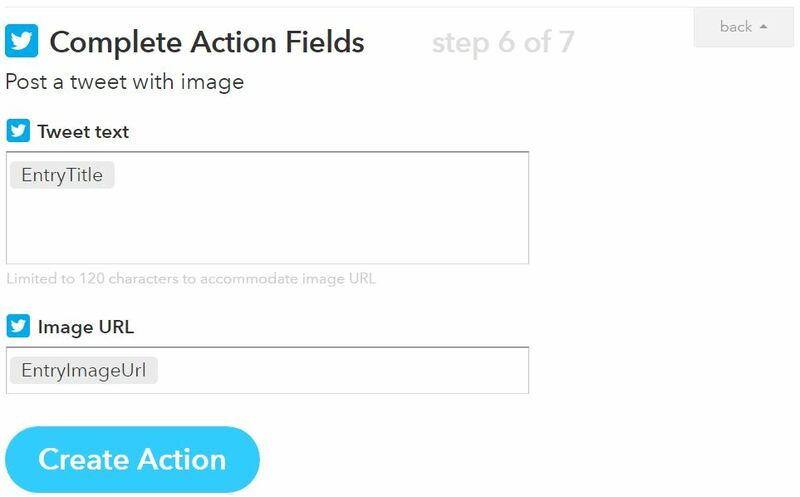 However, if you have a featured image, it may use the URL to it instead. Click the ingredient button for the ‘Tweet text’ field, select the ‘Entry URL’ ingredient from the drop down list and add it. Your new recipe is almost complete. In this step, you can review your recipe. 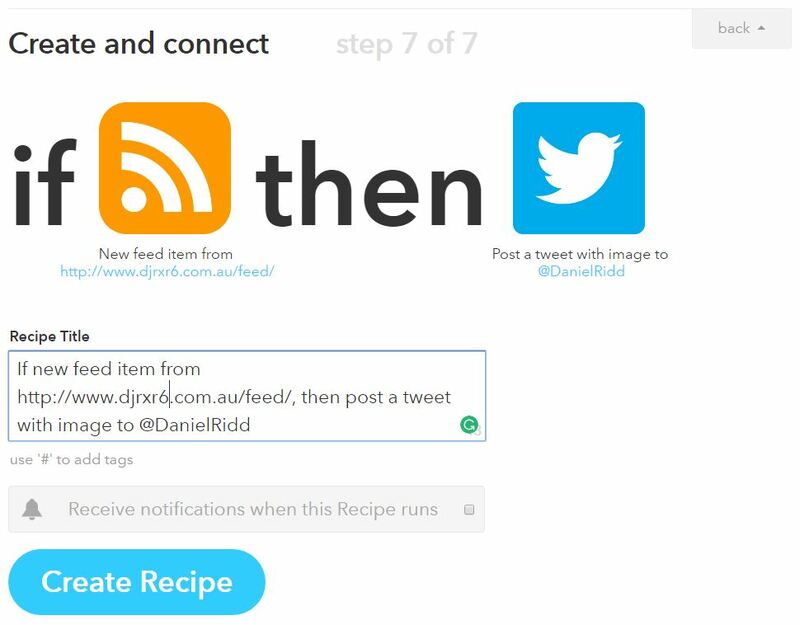 You might also like to enable notifications, just in case you want to confirm the recipe is working. You can always edit the recipe and change this later. Here is an example of this post as it appears on my Twitter feed.